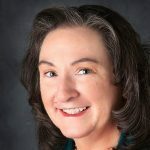 Lisa Keenan — owner of Keen Accounting — is a certified QuickBooks Proadvisor and has been a CPA in New Jersey for 15 years. Some of the services she offers include bookkeeping, accounting, payroll processing, management reporting, tax preparation and planning, and QuickBooks troubleshooting. Work For Keen Accounting? Claim This Page.